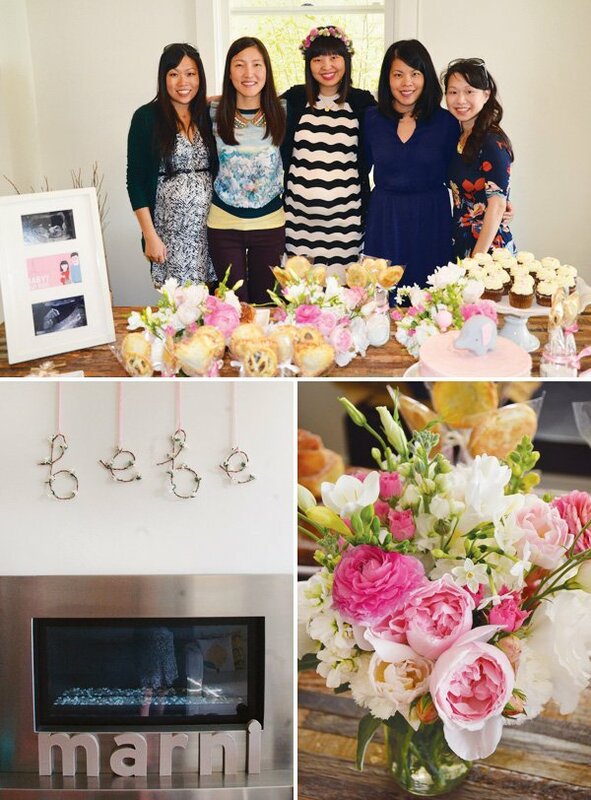 As dedicated “Francophiles” Helen and hubby spent a baby moon in Paris, and had a baby shower full of French inspiration! 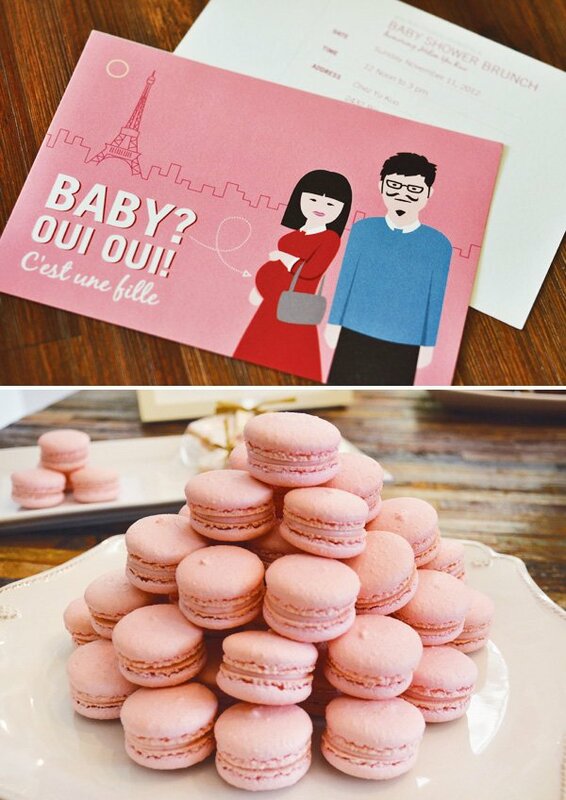 From the pink macarons to the Eiffel Tower decorations this Pink Baby Shower co-hosted by friend, Diana of Bumble ink, has me swooning for a trip to the city of lights! Those that know us know that the hubby and I have an infatuation with all things French. 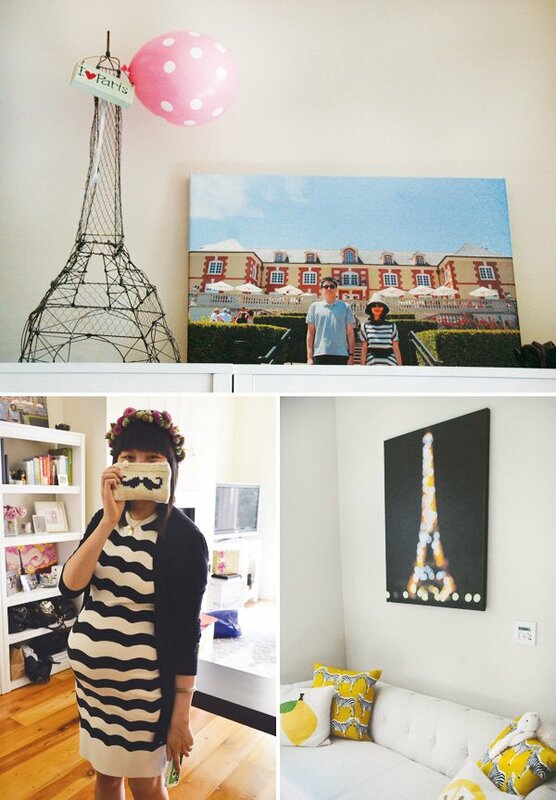 As dedicated Francophiles, we chose Paris as our baby moon destination. We literally ate our way through Paris from Pierre Hermé macarons (our favorite) to countless buttery croissants and other delicious and much needed carbs. I’m eating for two, right? I wholeheartedly agree in the saying “pretty in pink” so that was an obvious color choice for my baby shower. 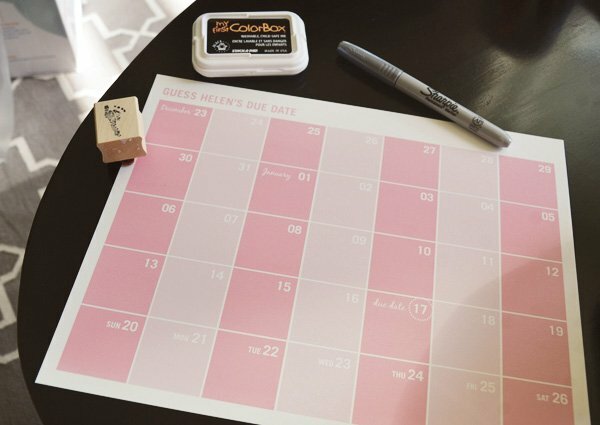 From chevron stripes to polka dots, there was no shortage of pink and white. 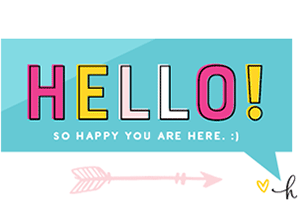 I purposely ordered a mix match of balloons, paper plates, napkins and cupcakes from Shop Sweet Lulu and Ladurée for a pop of pattern and cheerfulness. I also chose a customized burlap pennant banner that read “C’est une fille” from Etsy as the perfect addition to the dessert station. Our friends will attest that we have a quirky playfulness to our photos in that we enjoy “deadpanning” wherever we go. What is deadpanning? It’s inspired by the hubby who naturally has a serious, stoic look about him. We decided to try some deadpanning just for variety during our engagement and wedding photo shoot. We loved it so much that it has become our trademark pose with all of our pictures. 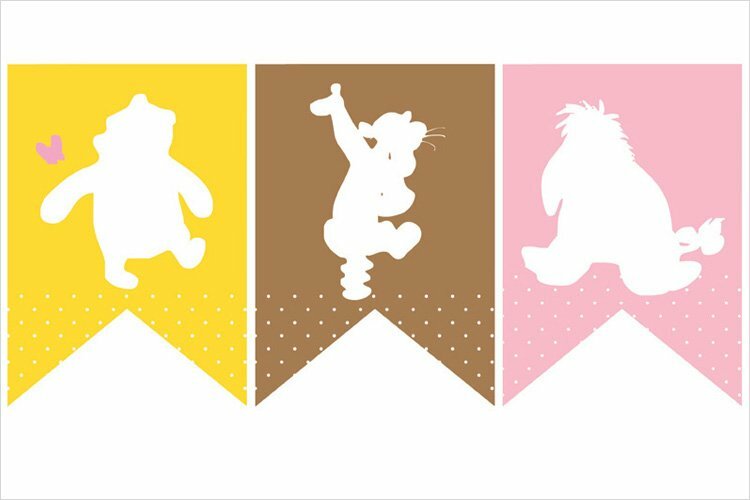 My college friends Diana Chen and Gavin Wu of Bumble ink translated our deadpanning passion into personalized baby shower invites. While the focus of the image was my baby bump, they also added French elements like the Eiffel Tower in the background and “oui oui” for humor with the hubby’s quintessential Parisian moustache and goatee. Too bad (for him) he can’t grow that kind of facial hair in real life! We loved this print so much that our friends gave us a large wrapped canvas art version to decorate our home too! The hubby and I knew we were having a baby girl pretty early on in my pregnancy. When we were thinking about her name, the hubby suggested Marni. It was love at first sound. Unlike tradition, I didn’t want to keep her name as a secret from my baby shower guests until the birth announcement. Instead, I wanted these future aunties of Marni to call her by her name publicly making it a more personal shower for both of us. 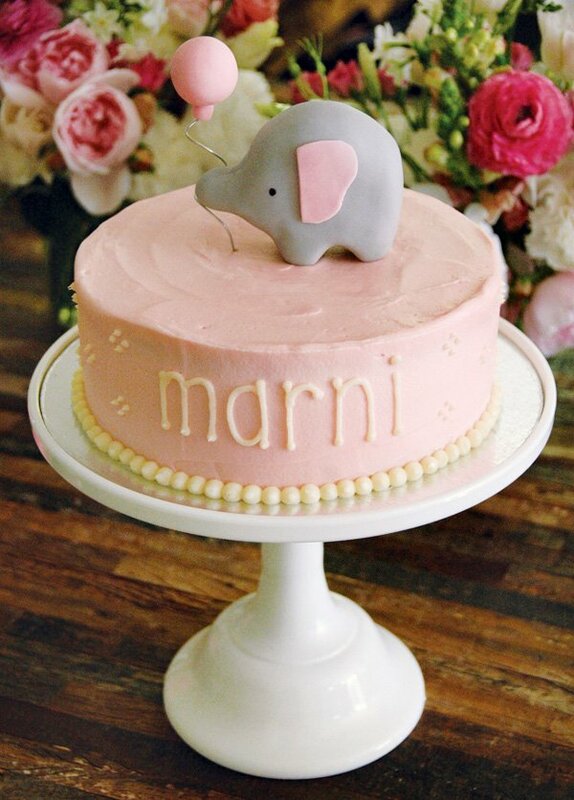 So it was absolutely perfect to see her name weaved into the décor from the French “bebe” sign with M-A-R-N-I kraft paper letters to the adorable homemade cake and the charming handmade diaper cake. 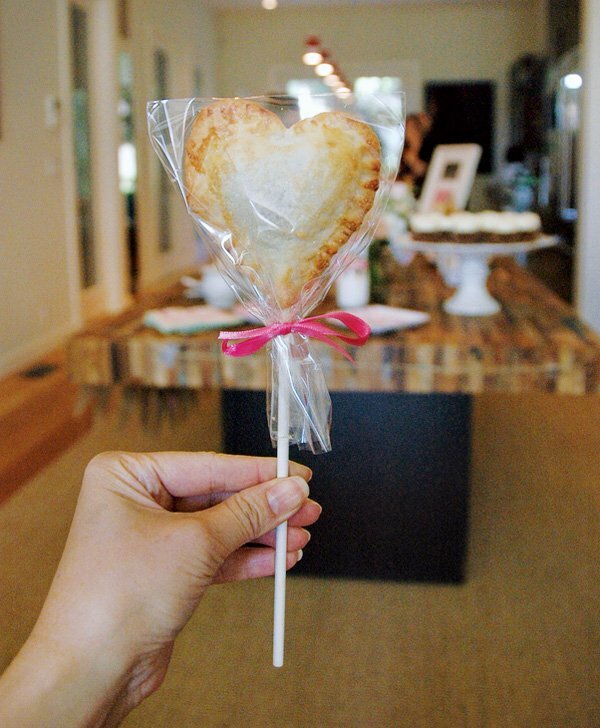 When it comes to showcasing amazing and delicious sweets, my friend Michele Chen of I Heart Baking, whom I’ve known since college, can “bake” it come true. We both share a love for macarons, girly pink and all things cute. 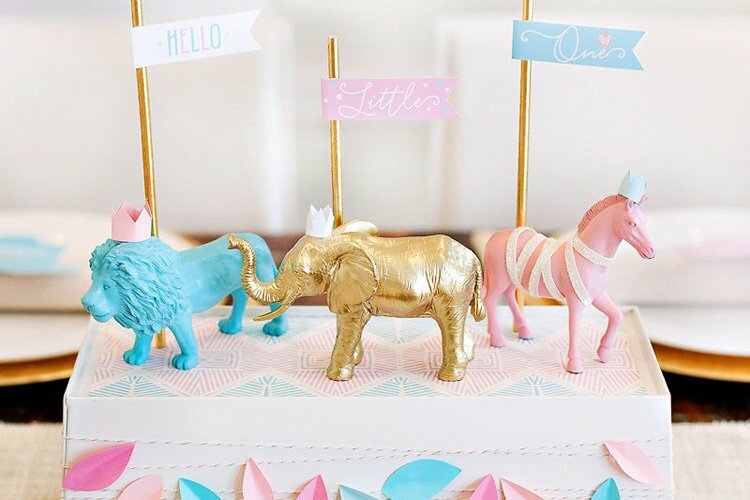 She referenced a baby elephant with pink balloon topper cake idea that I had on my Pinterest board and then executed it flawlessly. Her homemade strawberry shortcake was a huge hit at my baby shower. I’m so glad that she sliced the super moist cake in such a way that I could save some leftovers for myself! As part of the French theme, she also made the most delectable strawberry macarons. 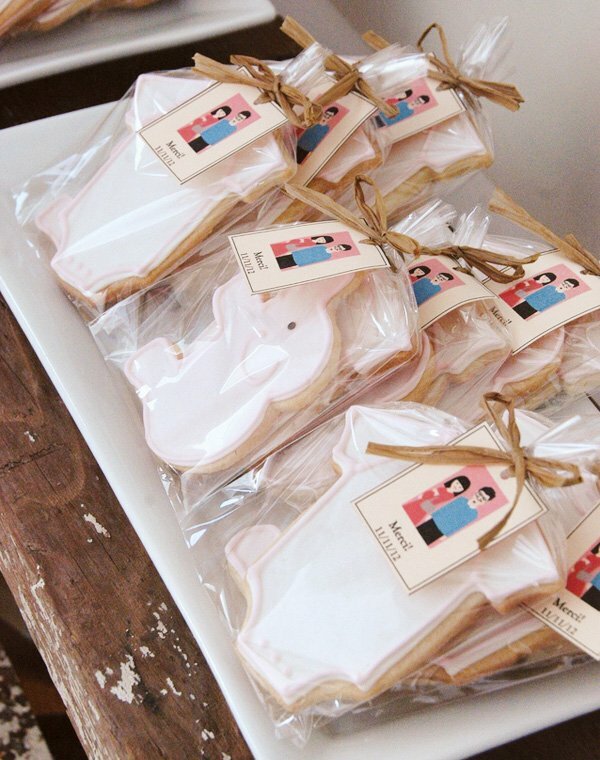 And as party favors, she made the cutest elephant and baby onesie-shaped sugar cookies complete with “merci” tags that featured the same deadpanning graphic from our baby shower invites. But the desserts didn’t stop there. I also wanted to share some of my favorite local San Francisco treats so I ordered assorted pie pops (in strawberry rhubarb, peach and pecan flavors) from Sweet Lauren Cakes, the infamous morning buns from Tartine Bakery and delicate gingerbread cupcakes with pink flowers by Miette Patisserie. When my college friend Regina Cadavid volunteered to make me a diaper cake, my only request was that the topper be a bunny doll that I bought on Etsy as Marni’s first toy. However, nothing could prepare me for how adorable her 3-tier creation turned out – I almost thought it was a REAL cake! 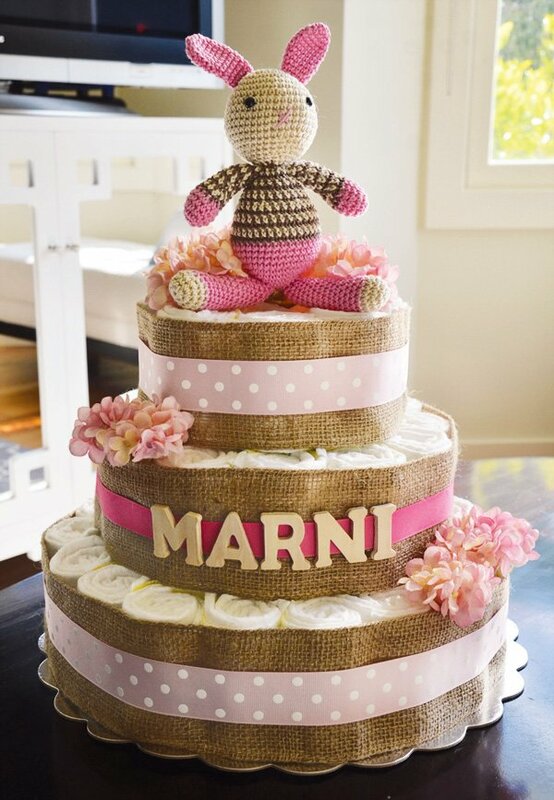 She displayed Marni’s name in wooden capital block letters, adorned the cake with precious pink and white silk flowers, wrapped each diaper tier with large burlap ribbon and added solid dark pink and polka dot light pink ribbons on each layer. And she included personal touches to the diaper cake: a hidden bottle of sparkling apple cider (to bring to the hospital) and some professional hair ties (used to hold the diapers) for my future use. There’s no question that this diaper cake was handmade with love from my bestie and my Marni’s future auntie. I had been to previous baby showers where the guests are asked to decorate plain onesies. But I already had so many cute outfits for Marni that I wanted something different…chic headbands in different sizes! 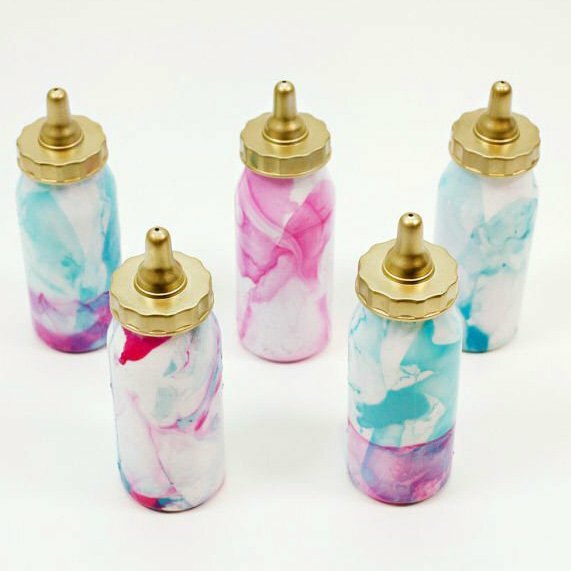 My dear friend Irene Shin is an amazing DIY crafter extraordinaire. 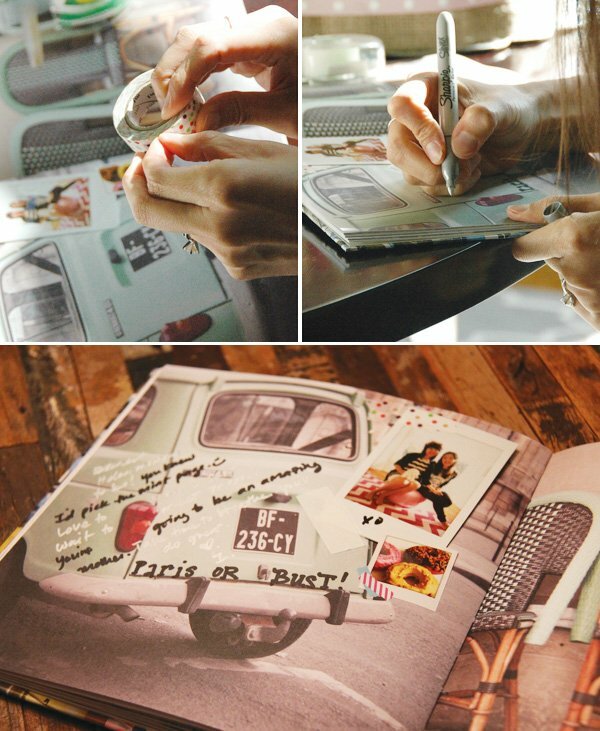 In fact, she practically designed every detail herself for her rustic wedding as featured in Style Me Pretty. I adore her aesthetic and was confident that she would be the perfect person to execute this idea. It’s also not surprising that she knew exactly what kind of fun and whimsical headbands to make. Her inspiration: the French designer Sonia Rykiel’s giant pom headbands. 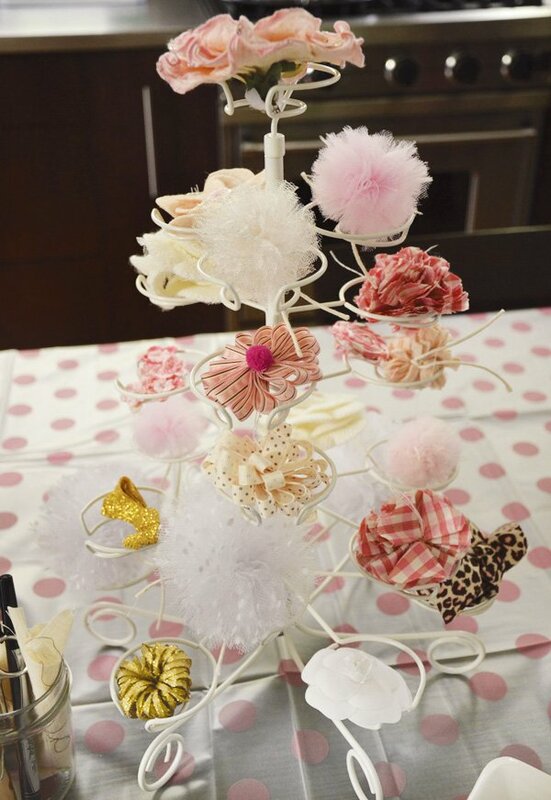 She handmade everything from the various “poms” and headbands to the actual tags. 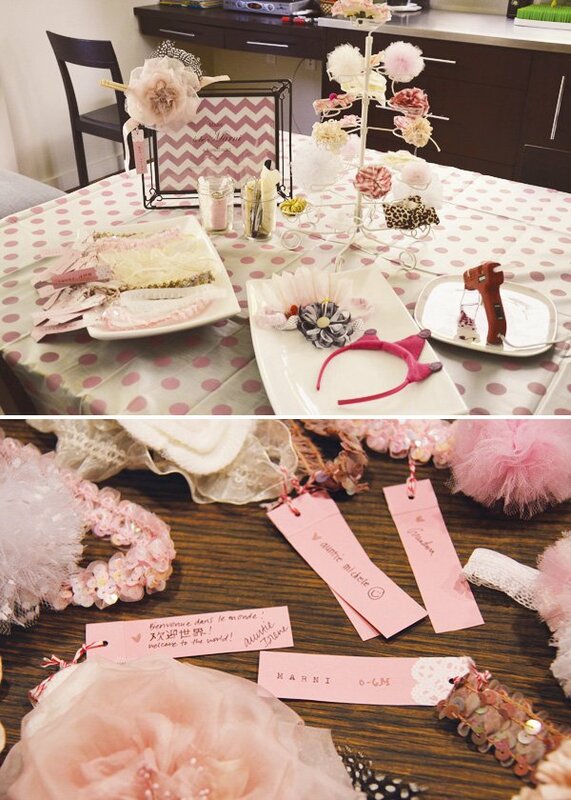 She hand picked a variety of fabrics for the headband adornments as well as elastic bands from sequins to satin to lace – all staying within the pink and white color palette. Her handmade tags included a border detail using baking doilies and were typographically finished with a vintage typewriter. Marni will be one stylish girl! My hostesses asked me if I wanted to play any of the typical games at my baby shower and I kindly declined. I much preferred to spend the time with my guests sharing stories, crafting and creating new memories together. So of course there was plenty of picture snapping during the shower. 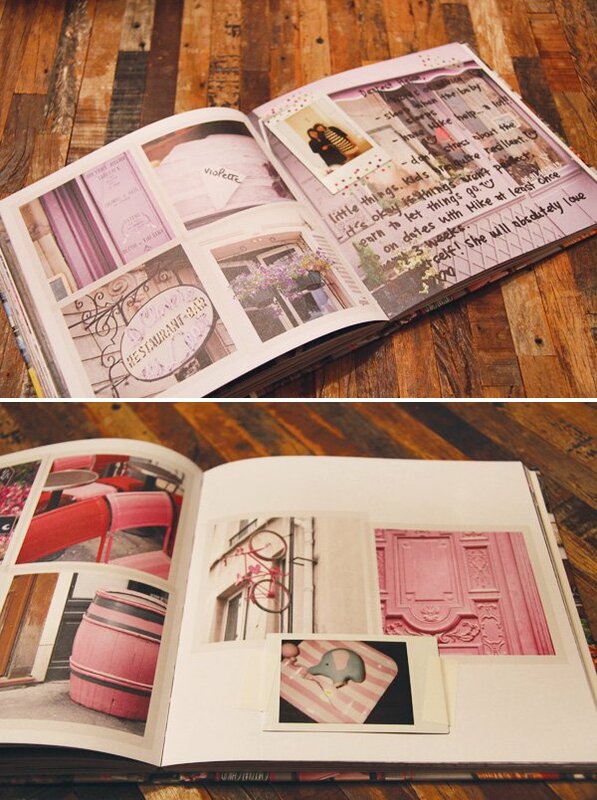 I chose the “Paris in Color” book as my keepsake because it features only pictures (no text) of my favorite city by color. I thought it would be great to have my closest friends sign the book with well wishes and mommy-to-be advice. My friend Regina made sure to capture a Polaroid with each of my guests as well as décor shots to complete the scrapbook. I will treasure this book forever. 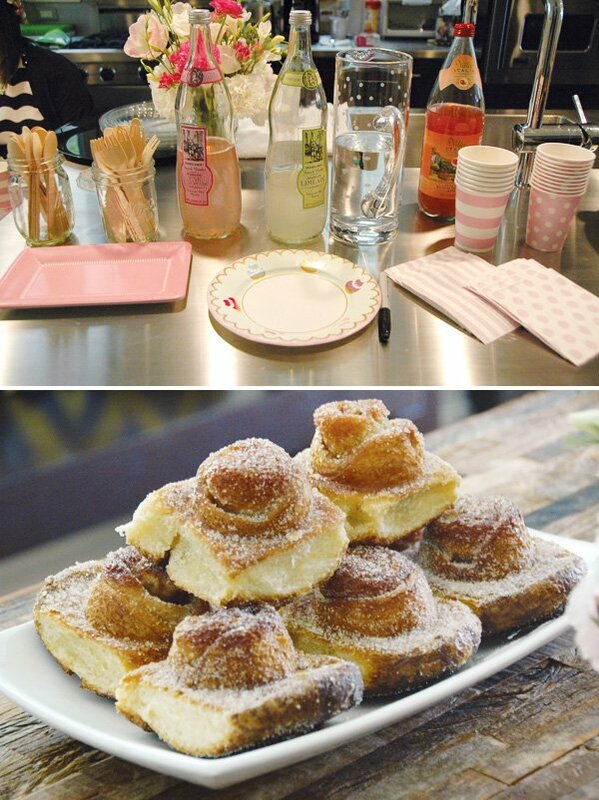 It was the perfect sweet ending at my baby shower for my sweet beginning with Marni. I only wish that my daughter was able to enjoy all of the attention from her aunties that day. But I am hopeful that she will be able to share in the excitement on HWTM.com! What an amazing shower! My husband and I recently traveled to Paris and we also fell in love :) And yes, Pierre Herme macarons are to.die.for. This is so adorable! 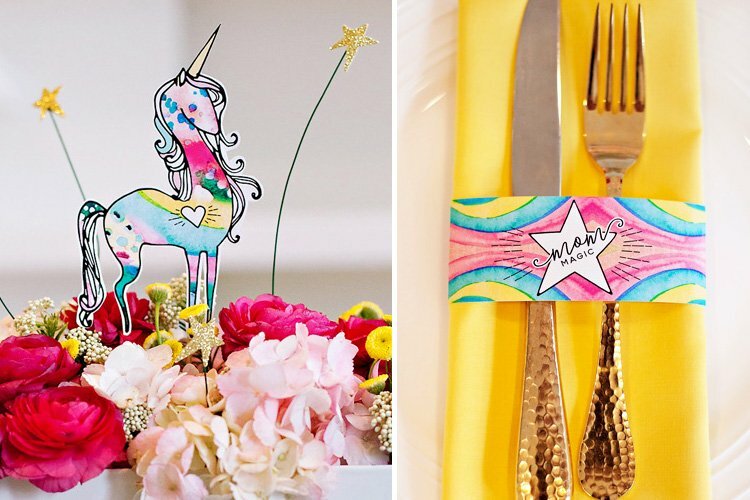 It’s a very different and creative way to celebrate a baby’s arrival, so so original! Love it! 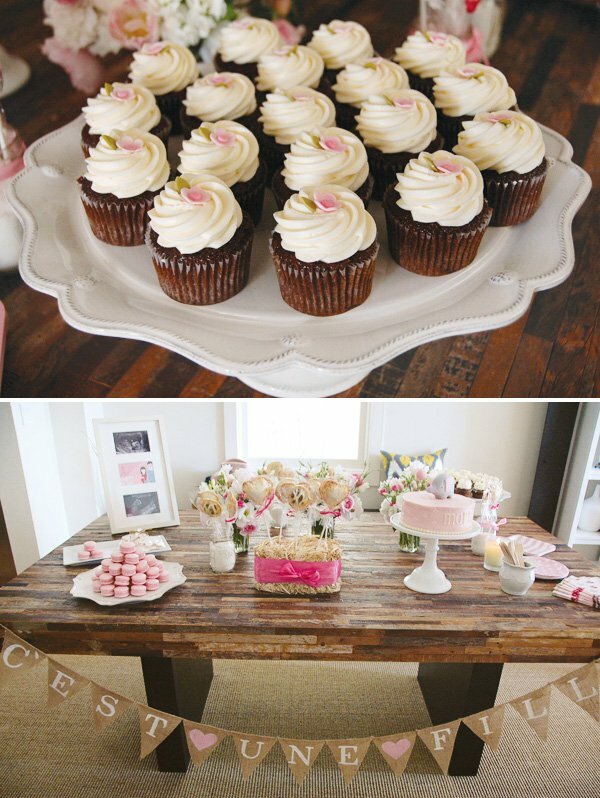 Love how detailed this pink baby shower is! OMG and the French theme is to die for!!! I absolutely love it! 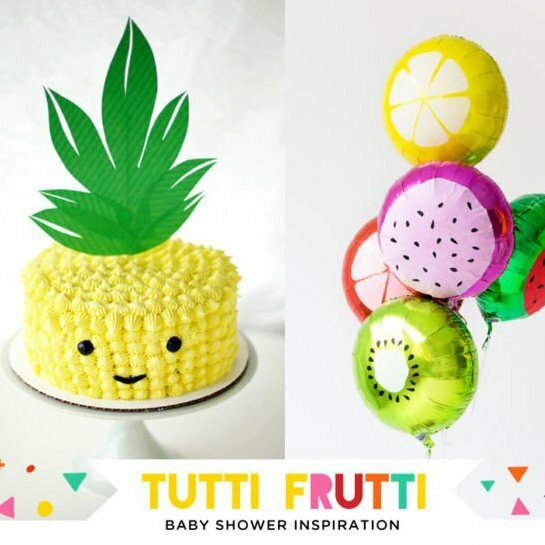 I’m planning my daughter’s baby shower for this summer and this would be perfect!